Start This Year the WRITE Way! 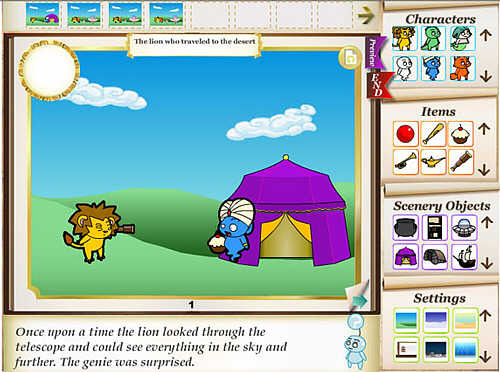 It is one of the most creative Web 2.0 tools for digital storytelling for young students. This would be a phenomenal way to get your students excited about writing AND using technology ~ in a format that is easy for them (and you) to use! 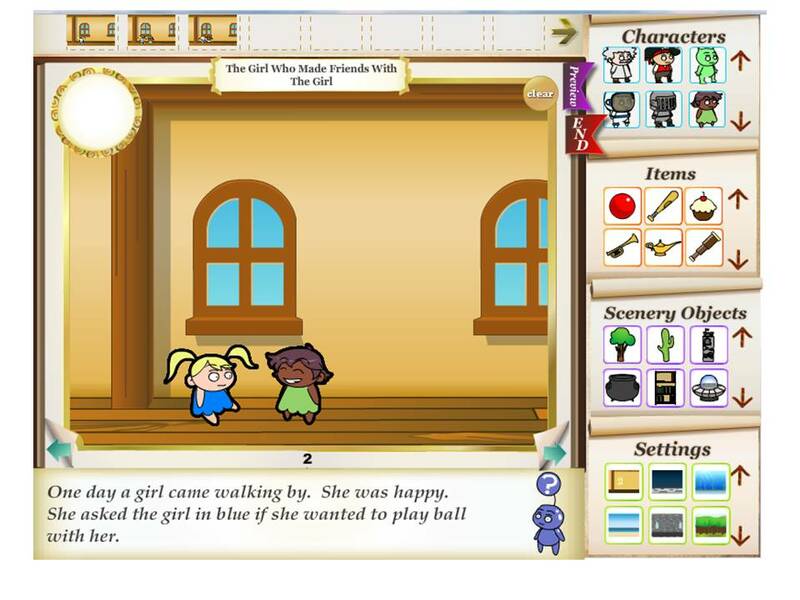 My StoryMaker allows children to choose, click on, and manipulate their story’s characters, setting, and objects. Based on their choices, sentences are constructed for the students. For young students who are not yet adept at writing or spelling, this is a fantastic way to help them fall in love with story creation. For older or more able children, there is the option for students to write their own sentences. All students will be exposed to understanding story elements like plot, setting, sequencing, and characters. The interactive and decision-making elements of this website make it entertaining for all ages! My suggestion would be to use this first as a whole-class experience…write a story together! There are so many fun options with this program that you may want to do this as a group SEVERAL times before letting the students try it with a partner or on their own. This gives the teacher an opportunity to not only demonstrate use of the website, but also to discuss common core writing standard concepts that are relevant to a particular grade level. Students will feel supported and less intimidated about writing when they are able to participate in group writing. I’m pretty sure you’ll ALL get a few laughs as you develop the story together and watch it unfold on the screen. It’s quite well done. It was developed by Carnegie Mellon at the Carnegie Pittsburgh Library. When you click on a character, a set of choice icons appears in the upper left hand corner. It allows you to choose the character’s emotions and movements. When you choose one of these, a correlating sentence appears at the bottom of the screen in the text area. When you finish a story, you may ‘publish’ it. You are given a secret code to write down so that you may access your story again. I believe that the stories are held on the site for one month. There are also options to print, share (email) the story, or view the story as a virtual book with turning pages. In regard to Core Content Standards, you can easily teach key concepts from the Reading, Writing, Speaking/Listening, and Language standards. This would be adorable and highly motivating on a SmartBoard, where students could take turns coming to the board to actually touch and manipulate objects as part of their participation! There is a little tutorial that can be played at the beginning of the site. Even if you’re familiar with how to use this site, I recommend playing the tutorial for the whole class so they get the benefit of hearing/seeing the step-by-step guide.